Check out this short video. After School Instructor and Camp Director, Erika Hernandez shares her main take aways from the Sammy Rabbit Dream Big Read Experiences conducted at the Weingart East Los Angeles YMCA! Go to the bottom of our Spotlight page to see a highlight reel of the program discussed by Ms. Hernandez. Messages stick. And they are easy to act on! Under age 7: You may want to read one page; then have kids color that page; then focus on one word or message related to that page – having kids repeat the word or phrase out loud; and then, based on your judgment perhaps do a simple art and craft or activity like the ones displayed below. Over age 7: You may want to read the entire story; have a discussion; and do an activity. Regardless of a child’s age one key to training and education success is getting participants involved. Here are several methods to get participants involved in the financial education experiences you lead. Have participants do activities. Have them draw or write. For more video examples on how to use Sammy’s Dream Big resources and strategies visit our Training Center. Strategies that are easy for anyone to execute that produce outcomes that can be predicted and repeated are valuable. Sammy Rabbit programs and resources have been doing that since 2001. Here is what users are reporting. You will also find more about Sammy’s history and record of success here. It is a record you can count on! Here is a sampling of user experiences – Sammy Rabbit Dream Big Financial Education resources. Sam X Renick is the driving force behind Sammy Rabbit. Sam and Sammy are dedicated to empowering kids’ dreams and improving children’s financial literacy through the development of great habits and strategic life skills. 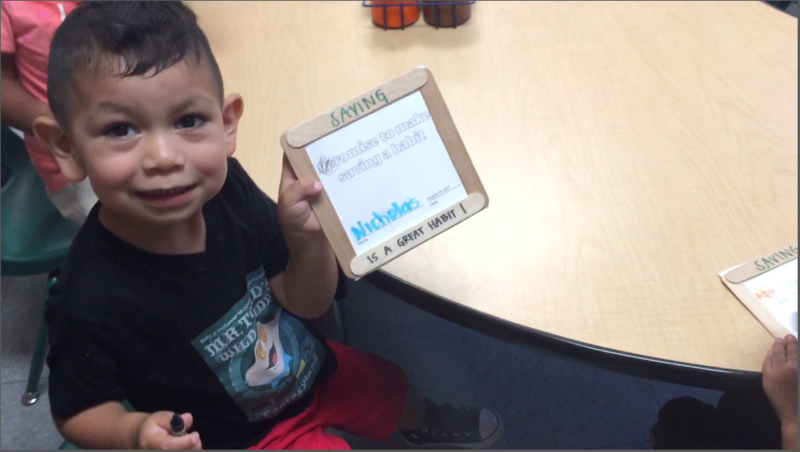 Sam has read and sung off key with over a quarter million children around the world, encouraging them to get in the habits of saving money and reading! Sammy Rabbit is hopping along. Be sure to sign up for updates, Sammyriffic deals, articles, and announcements! Pop Quiz! What kind of animal is Sammy? Hint: It's in his name!